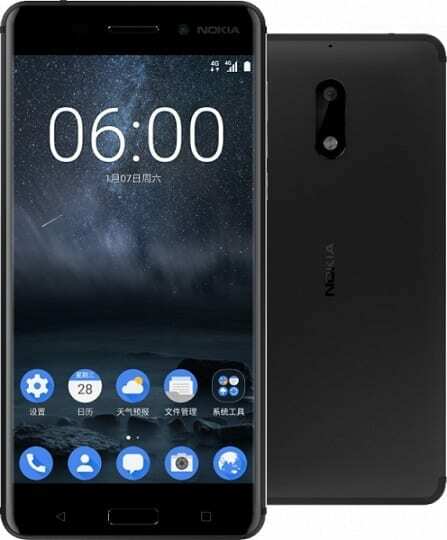 Nokia 6 is the first Nokia phone from HMD Global Oy. The company secured exclusive license to build Nokia phones late 2016. The Nokia 6 is a mid-range, but with impressive build and specs. It was launched worldwide during MWC 2017 with the Nokia 5 and Nokia 3. 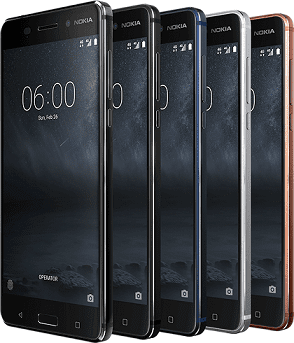 Nokia 6 is built on a metal unibody. The body is built from 6000 series Aluminium. Corning Gorilla Glass 3 covers the entire front of the phone. Nokia 6 has a 5.5-inch IPS display with 1080 x 1920 pixels resolution. Nokia 6 is powered by the Qualcomm Snapdragon 430. The chipset offers a 1.4GHz octa-core processor. You get 4GB RAM or 3GB RAM, which should make things run smoothly. Nokia 6 has 32GB or 64GB built-in storage and can support up to 256GB memory card. Note that 4GB RAM and 64GB internal storage will be exclusive to the limited edition glossy Arte Black variant of the Nokia 6. Nokia 6 is loaded with Android 7.0 (Nougat). It has a fingerprint sensor on the front and has a 3000 mAh non-removable battery. The smartphone supports the same LTE bands as the Nokia 5 and Nokia 3. It supports 4G LTE with support on Etisalat, NTel, NTel, Glo, Smile, and InterC in Nigeria. Nokia 6 is not yet available in Nigeria, it launched in China in January for 1699 CNY. It will start shipping worldwide in the second quarter of 2017 starting at a price of around 229 Euros. The limited edition Arte Black model is expected at 299 Euros. We currently have no data on pricing and availability for Nigeria, Ghana, or Kenya. When available, Nokia 6 Price in Nigeria is expected to range from 85,000 Naira to 150,000 Naira depending on your location.